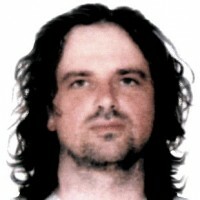 Ivailo Tsvetkov was born in 27th March 1964 in Sofia, Bulgaria. He graduated at the Art School in Sofia in 1983. He worked as an artist/cartoonist in newspapers “Monitor” and “Telegraph” and in magazine “Tema”. Ivailo Tsvetkov presented his artworks at several individual exhibitions at home and abroad. He also participated at countless collective exhibitions in many countries of the world. Ivailo Tsvetkov took part at a number of national and international cartoon competitions and his artworks were awarded numerous prestigious prizes and honorable mentions (we can mention at least some of them: 1st Prize Angler, France 1993, Prize of Ministry of Culture, Gabrovo, Bulgaria 1999, Diplom of Excellence, Haifa, Israel 2002, Honourable mention, Kruishoutem, Belgium 2005, 1st Prize, Pisek, Czech Republic 2006, Master Prize, Master Cup Cartoon Biennial, China, 2007, Googlm Cartoon Contest, China 2008, among many others). Ivailo Tsvetkov is the President of FECO Bulgaria. He is living and working in Sofia, Bulgaria.